Lawyer, MP (1911-1915), Lieutenant-Governor of Manitoba (1916-1926). Born at Grahamsville, Peel County, Ontario on 10 December 1851, son of James Cox Aikins and Mary Elizabeth Aikins, he was educated at Richview Public Schools, Brampton Grammar School, Upper Canada College, and the University of Toronto (BA 1875, MA 1876). He was called to the Ontario Bar in 1878 and came to Winnipeg the next year, being called to the Manitoba Bar soon afterwards. He was called to the North Western Territories Bar (Saskatchewan and Alberta) in 1882 and was appointed a Queen’s Counsel in 1884. His law firm, which would grew to become one of the largest in Canada, served as legal counsel for the Department of Justice (1879-1896), Counsel for the Manitoba Government, drafting the Manitoba Liquor Bill in 1900 and Counsel for the Canadian Pacific Railway in Western Canada (1881-1911). By 1910 he was listed by the Winnipeg Telegram as one of Winnipeg’s 19 millionaires. 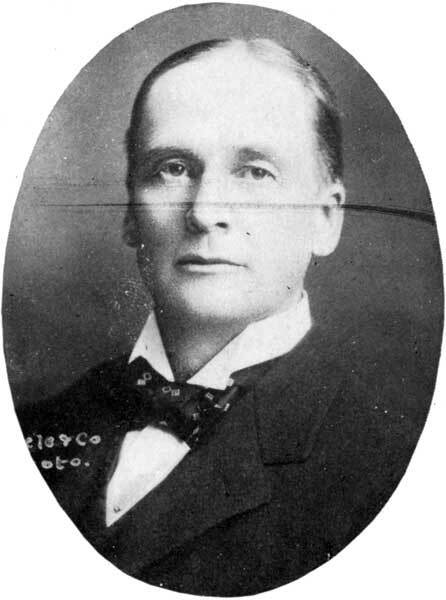 In September 1911, he was elected to the House of Commons for Brandon until he resigned in 1915 to lead the Conservative party in a Manitoba provincial election. 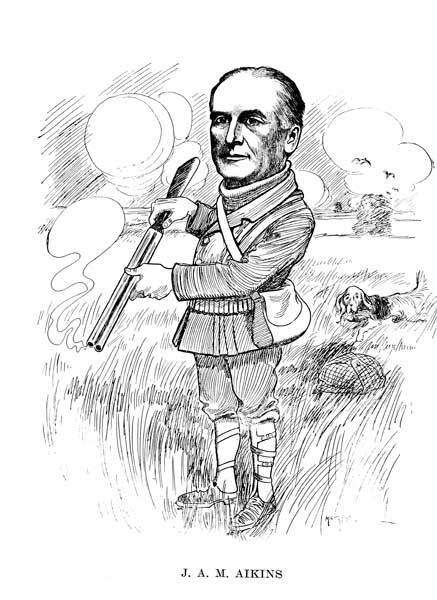 Soundly defeated, he subsequently resigned as Conservative leader in 1916. He was appointed by the Dominion Government one of the Royal Commission to investigate and report on administration of justice in North-West Territories, 1880. Appointed by Dominion Government to represent Canada at the International Congress on Moral Education at The Hague, 1912. Appointed by the Manitoba Government a member of the Royal Commission concerning agricultural education, 1902; represented Manitoba Government on Strathcona Trust Board; Director of Wesley College; Member of the Council of University of Manitoba; Hon. Bursar, University of Manitoba, since 1887, Chairman of the Royal Commission University of Manitoba, 1907. President YMCA, 1879 to 1882. President, Canadian Club of Winnipeg (1905-1906). Honorary Colonel and member Dominion Cadet Board; on Board of Visitors, Royal Military College, Kingston; Hon. Lieut-Col. 90th Regiment, Winnipeg Rifles, 1910; appointed Honorary Colonel 99th Regiment, Brandon, 1911. Appointed Lieutenant Governor of Manitoba, 1916, at the expiration of the term was reappointed. In 1919 he was awarded an honorary degree by the University of Manitoba. He served as President of the Canadian Bar Association, President of the Manitoba Bar Association, and a Bencher, Secretary-Treasurer and President for the Law Society of Manitoba. In January 1884, he married Mary B. McLellan (?-?) at Ottawa, Ontario. They divorced in 1892, after having two sons: James Cox Aikins (1885-1891) and Gordon Harold Aikins. In September 1899, he married Mary F. Colby. They had two daughters: Mary Alberta Helena “Helen” Aikins (1902-1979) and Elizabeth Grace Colby “Betty” Aikins (1903-1995) who married brothers F. J. Ney and Reginald Osborne Ney (1899-1966), respectively. Aikins was a member of the Manitoba Club, St. Charles Country Club, Rideau Club (Ottawa), York Club (Toronto), and Brandon Club. He was a Fellow of the Royal Colonial Institute (London, England). He died at Winnipeg on 1 March 1929. His Lieutenant-Governor’s papers are held at the Archives of Manitoba. We thank Donna Barraclough UE for providing additional information used here.